For many, reading the Bible is a tedious task. Often the forest gets lost for the trees in the Old Testament. For some, a simpler and more original version of the Bible is helpful in instilling newfound interest in the Bible as literature. In this vein, Zondervan’s The Books of the Bible (NIV) (henceforth BOTB) seek to return the Scriptures to a readable, story-like form. Reference markers (e.g. chapters, chapter headings, and verse) have been removed and a single column format is utilized, creating a feeling of reading a story. The effect on the general reading is excellent. The NIV is perfect for this format and is enjoyable to read without the additional reference points that have become standard in printed Bibles. The order of the books in BOTB is also set to accommodate this story-like approach. The Old Testament (referred to as the “First Testament”) utilizes “an order much closer” to the Hebrew tradition in book order (1). 1st & 2nd Samuel are combined with 1st & 2nd Kings. Chronicles, Ezra, and Nehemiah are recombined into their long scroll form and are placed among the concluding “Writing” (e.g. Psalms, Lamentations, Job, Esther, and Daniel) of the First Testament. The prophets are presented in some semblance of a chronological order. Each element is specially crafted to help the covenant story of Israel naturally stay in the mind of the reader. Taken together, all of these changes are vast improvements to the usual order but provokes wonder at why the original Hebraic order was not used. The New Testament is crafted in a similar way, intended to bring unity and chronology back to the early church writing. 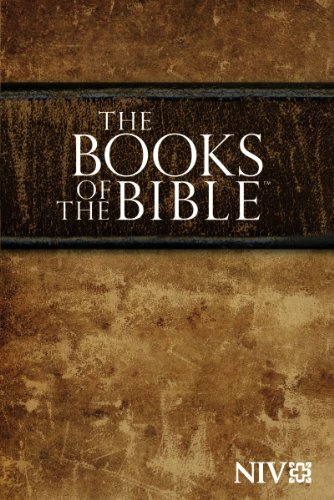 BOTB distributes the gospels amongst epistles with similar emphasis in an effort to “help readers better appreciate why the books of the New Testament were written” (1477). This results in Luke-Acts being combined and placed alongside the epistles of Paul in a chronological order. Working against the flow of BOTB are “Invitations” to each testament, section, and individual book. These “Invitations” are brief introductions that provide explanation of book order, historical background, and insights into book purpose. Occasionally these “Invitations” are very informative (e.g. Lamentations as five authorless songs, 1140; Song of Songs as an anthology of wedding songs, 1159; James as wisdom literature not a letter, 1761; 2 Peter as an expansion and defense of Jude’s epistle, 1807) but the purpose of BOTB is a readable Bible that flows and does not distract. The regular interruption for “Invitations” is a large step back from the cleanness of the text itself. Disclosure of Material Connection: I received this book free from the publisher. I was not required to write a positive review. The opinions I have expressed are my own. I am disclosing this in accordance with the Federal Trade Commission's 16 CFR, Part 255: "Guides Concerning the Use of Endorsements and Testimonials in Advertising.